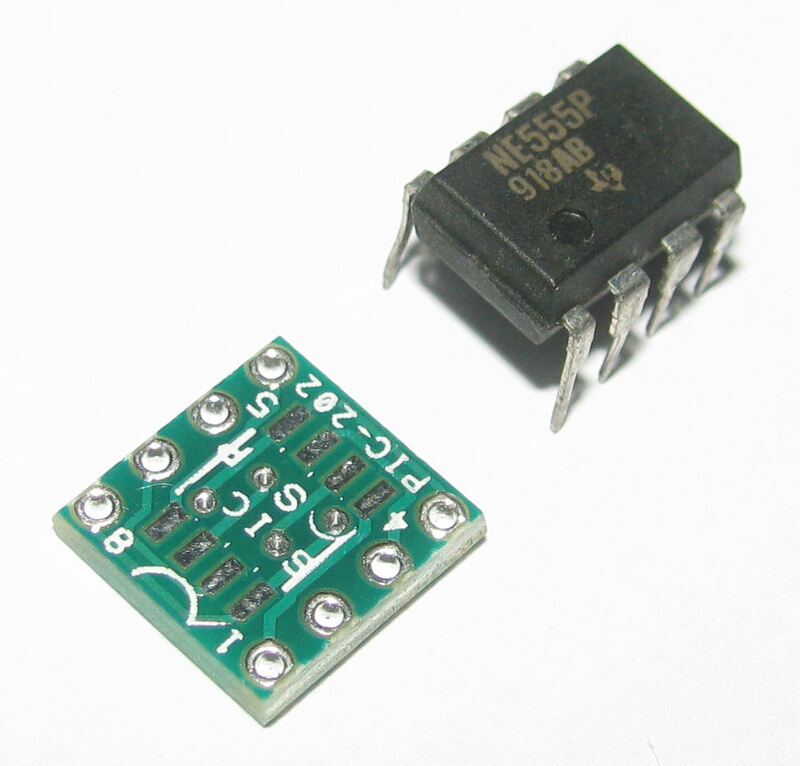 SOIC8 to DIP8 SMD adapter for your prototyping needs. 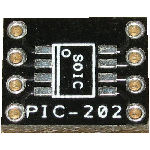 The multi-adapter board footprints are designed for mounting SOIC, SOP, SSOP & TSSOP IC component up to 8 pins. Converting them to a convenient module with pin spacing of 2.54mm pitch. 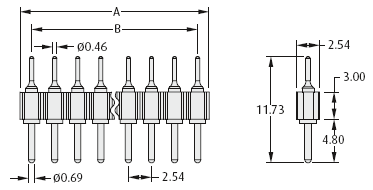 The adapter pins are 7.62mm apart which is the same width as a DIP08 IC socket. This is backwards compatible with DIP08 footprint. 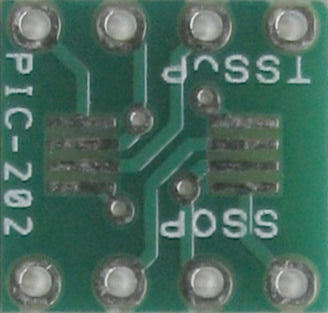 This allows you to replace obsolete DIP08 IC chip with the SMD alternative. 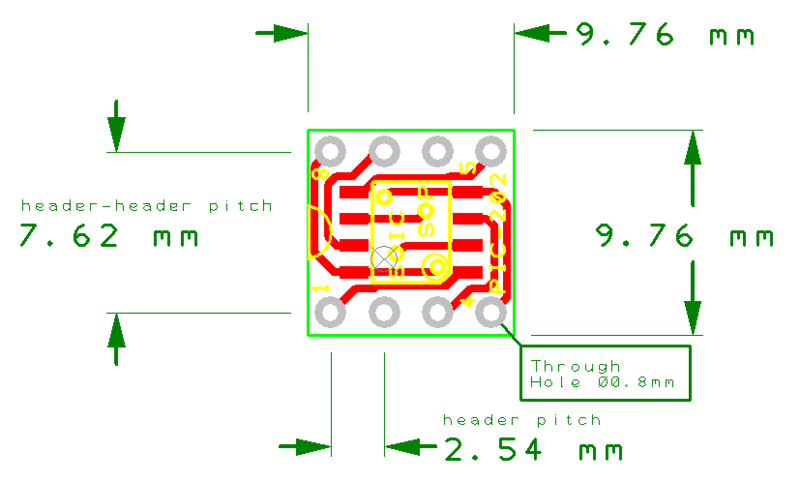 Suitable for 2.54mm pitch prototyping board or training module. 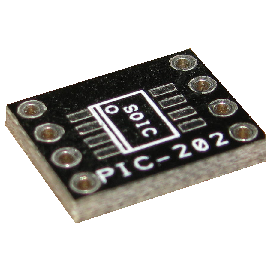 PIC-202 SMD IC test adapter is definitely handy for your prototyping and DIP replacement needs. 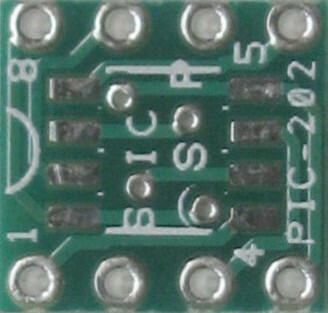 Turn pins SIL can be soldered to the adapter so that the adapter can be plug into a DIP08 IC socket. The adapter is ultra-small measuring 9.8 x 9.8 x 1.6 mm, weighing 0.4g. Vertical pitch spacing is 2.54mm, Horizontal pitch is 7.62mm (width compatible with DIP08 IC footprint ). 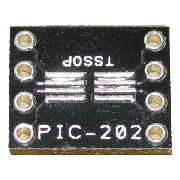 Use PIC-202 to surface mount IC with your soldering iron or rework station. 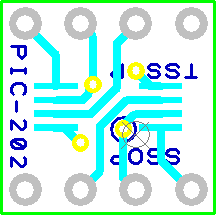 The pins width apart is 7.62mm which can be used for SMD IC chip to replace obsolete DIP08 footprint version. 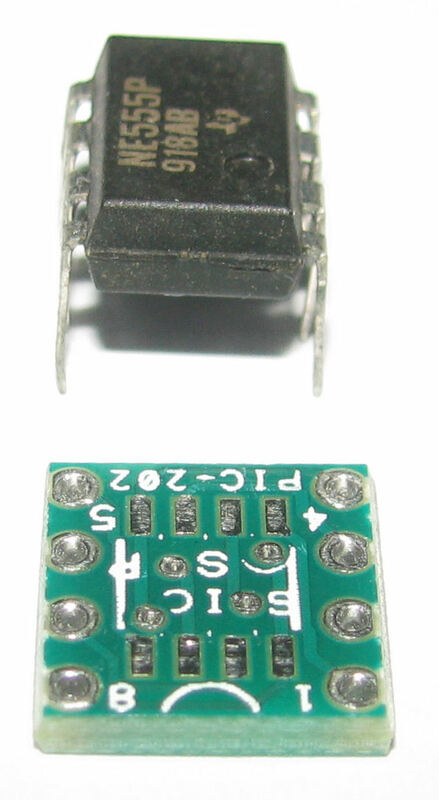 This is especially for replacing obsolete DIP08 IC chip used in old machines or electronic circuit board. directly from our online PIC-store. For other IC adapter, you can contact us for further information.